Amazon (Buy.com) has the Mohu Leaf Leaf 50 Amplified HDTV Antenna Sale Priced today only at $59.99 with Free Shipping. Sells for $70 or more elsewhere. 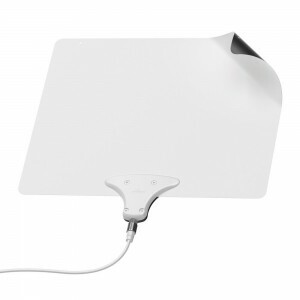 Get free local channels on your TV with this amplifed slim antenna with up to 50 mile range. It is powered by USB.